Item is a photograph taken during a Dalhousie University reunion in 1938. 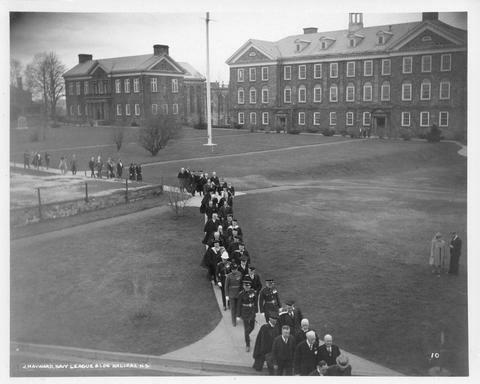 The photograph shows a procession of alumni, faculty, or other people walking across Dalhousie's Studley campus. The Macdonald Library (Macdonald building) and Science Building (Chemistry Building) are visible in the background.